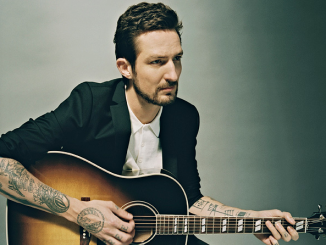 Frank Turner has had quite a career. Being a solo artist since 2005 after the split of his punk band Million Dead, Turner’s relentless touring has paid off for him, with him selling out Wembley Arena in 2012, playing the opening ceremony of the London Olympics and a book of his own released. Shortly after this, Turner released the album Tape Deck Heart, his fifth project, to high praise in 2013. Now two years later he returns with his sixth solo full length, Positive Songs For Negative People. The album was recorded live in 9 days with producer Butch Walker. Turner has said in interviews that the songs are much more positive than his last album, which is most definitely true (the title says enough really). Lyrically, where Tape Deck Heart was focused on the loss of love and feeling lost, Positive Songs For Negative People is Turner picking up the pieces and moving on. Musically however, I think Positive Songs almost feels like a culmination of all of Frank’s albums thus far. The opening track, The Angel Islington is recorded very roughly, almost like a demo but I think this gives the song a really great intimate feeling that wouldn’t have translated if the recording was much more polished. The lyrics of this song remind me of If Ever Stray, from his 2011 album England, Keep My Bones, with Frank talking about being cleansed in the Thames river and such. The next two tracks, Get Better and The Next Storm which were the first two singles for the album, are two really great rock tracks seemingly dealing with the overcome of negative feelings and lack of motivation, with Frank admitting that he can improve himself on both tracks and facing the “sunshine” as he sings on The Next Storm. The Opening Act Of Spring is a very folky track, harking back to the 2008 album Love Ire & Song, and while this is a great track, it almost gets lost in the track list for me, when compared to the other tracks on the album it can feel quite forgettable. This track gives way to what I would consider the ballad tracks of this album, with Glorious You and Mittens, the latter of which feels like it was recorded for Tape Deck Heart but didn’t quite make the cut, as the lyrics of this seem to have a much darker feeling than the songs before it, that said, it’s still a fantastic track. A few tracks on the album are similar to Mittens lyrically, with the song Josephine which sounds like Turner regretting things he has or hasn’t done, proclaiming he could have been Napoleon or Beethoven, but instead he is just “uncomfortable me”. Also the final track, which is a live recording, Song For Josh which is a harrowing song about the suicide of Turner’s friend, Josh Burdette. Turner actually recorded this song during his performance at the 9:30 club in Washington where Josh worked. The remainder of the tracks all fall into the much more positive category thankfully, the song Out Of Breath is a fast paced track that fits the very folk-punk vibe of his album Poetry of The Deed from 2009. 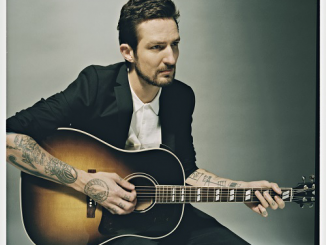 Tracks like Demons and Love Forty Down are just really the kind of solid songs I’ve come to expect from Frank Turner, the song Silent Key is probably one of my favourite songs on the album, the guitar riff is the perfect balance between anthemic and melancholic and was stuck in my head for a day or two after. 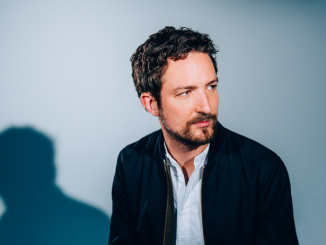 Positive Songs For Negative People is another fantastically solid project from Frank Turner, showing that he can gain fantastic success and not let it compromise his sound. I also highly recommend listening to the deluxe version of the album, which contains acoustic versions of all the tracks on the album, which highlights even further Turner’s versatility, writing songs that translate just as well acoustically and are just as powerful as the full band performance.